This morning we started the engine at 630am with cloudy skies and plenty of water on the boat. With Lorraine at the helm, Phil raised the anchor at 645am. 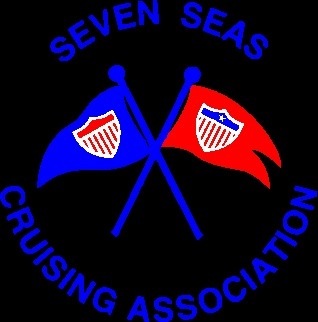 By 715am we had exited Erie Harbor and were on our way to Dunkirk, NY, deciding to have an easy day of it. We started out motor sailing to help charge the batteries. Early on there was a little drizzle but that didn’t last for long and it was sure nice to have the window in the dodger to duck behind. After 5 miles, the wind had picked up to over 10 knots as little white caps were forming on the waves. We had a nice sail reaching with the winds from the south and waves <2 ft. Early afternoon the winds really died and even though we hoped for a shot of wind in some clouds coming up to us, we had to start the engine with 4 miles left to Dunkirk. By 215 pm we were docked and the lines adjusted. These docks are high but work just fine. We are as far away from the clubhouse as you can be. After getting settled and signing in, we took a walk around town and found a latino food store, P & D Foods. It wasn’t big, but I was able to get some fresh mushrooms for beef stroganoff, tomatoes, and milk. Dunkirk Yacht Club is a small club with a mixture of power and sail boats. We saw 5 C&C Sharks sail boats, one called Warpath that had a sharks mouth with teeth and eyes painted on the bow. I wouldn’t be surprised if a WWII Veteran owned the boat as the decals on the side of the boat reminds me of the decorations the pilots had on their planes in the war. After supper of Beef Stroganoff made in one pot (I added extra water and cooked the noodles in the sauce), I enjoyed a nice shower in the clubhouse. Much better than the bird bath I had last night. Phil, he just jumped in the water at the stern and washed up, and then used the sponge to clean the rudder. The water here in the harbor if very clear and they have lots of vegetation growing. There is also a power plant as you enter the harbor, and tonight there was a switching engine that was moving train cars around with their wheels squealing on the track. It reminds me of the trains across from Ashtabula Yacht Club in Ashtabula Harbor moving the coal in the trains. I can’t hear them now, so may be the shift is over. Dunkirk power plant with the clouds coming in. We are most likely staying here for another day, but you can never tell. It all depends how quickly the cold front gets here and if we have enough time to get to Buffalo before it arrives. It’s 30 nm to the Buffalo waypoint, or about 5 hr going at 6 kts. It would also be good to see Phil’s friends, Captain Dave, who lives close by and may be able to visit tomorrow morning. I don’t know if you have noticed, but I have been putting OK messages with our SPOT GPS Messenger. You can check our current location by clicking on the “Where are we” page at the top right, then click on the Spot Location page, and finally click on the word “Link”. Check back through out the day as I try to check in at least once during our passage. This time I paid extra to have the locations last for a month, and I’ve already been able to download my OK locations to the INavX charting software to keep for future use. 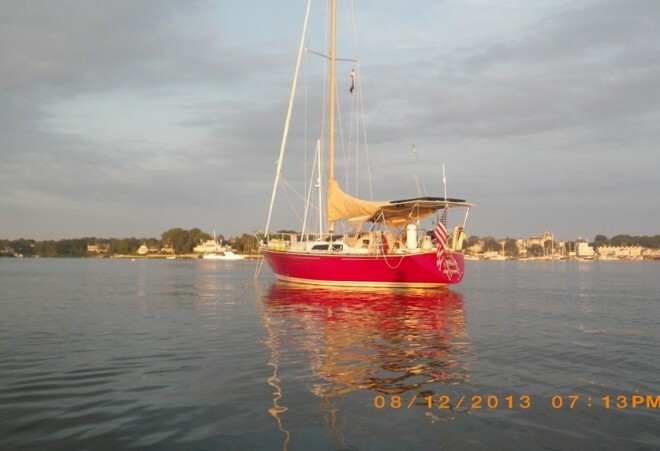 This entry was posted in 2013, New York, United States, Yacht Clubs and tagged Shopping, supper. Bookmark the permalink. We had a night full of rain and storms. Hope it’s better there. It wasn’t that bad. Once I had to close the Fore hatch due to rain moving in, but the majority of the rain was still west of us when I got up to check on radar. I’ve been really tired lately, so when I woke at 830am, the rain had passed. Wearing earplugs, I don’t know how bad it was. Spot Link is very cool. Thanks.